When Apple Music was released as part of an upgrade to iOS in June 2015, it marked Apple's first foray into the streaming music business. Armed with a library of more than 30 million songs, a 24-hour radio station and a potential built-in audience of hundreds of millions of iPhone owners and Beats customers, Apple's music initiative seemed like a sure thing for music fans in the Apple ecosystem. I'm a big music fan, with tastes that range from Daft Punk to Arcade Fire, Bjork to 2Pac. So, why am I still not an Apple Music user? It's not the price, which is $9.99 a month or $14.99 for a family subscription. That's not much more than other streaming services like Pandora (free with ads or $4.99 a month) or Spotify (free with ads, or $9.99 for premium). 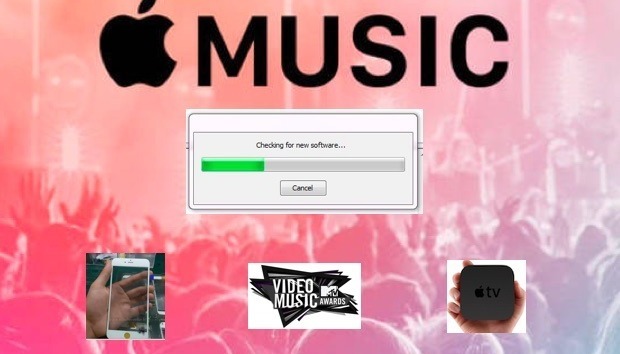 Apple spearheaded the digital music movement in the early 2000s, and -- through the powerful iTunes plus iPod combo -- brought the concept of purchasing music digitally to the mainstream. In his initial pitch, then-CEO Steve Jobs argued that people want to own their music, not rent it. So for more than a decade, Apple's music initiatives focused on letting customers buy individual songs instead of being forced to buy complete albums (though that's an option, too), leaving the streaming music market to a host of other companies. Apple Music offers a variety of radio stations and curated playlists to subscribers. For music lovers, these services made complete sense: quick access to millions of songs without having to spend thousands of dollars buying individual albums. Streaming services also made discovering new music extremely simple via song and playlist sharing; and with ad-free listening, the ability to skip songs, and the options to listen to music offline, these services offered a compelling reason for many users to subscribe. When Apple Music finally launched last year, issues immediately popped up. Remember the mass-deletion problem that affected long-time Apple analyst Jim Dalrymple? He lost 4,700 songs (though he did recover many of them later). While the early problems have been resolved, Apple Music remains a work in progress, whether on the desktop, for iOS devices or CarPlay. Though some early adopters may have dropped the service, there are 11 million or so Apple Music subscribers. That, combined with the nearly 80 million active users on Pandora and the 30 million using Spotify, clearly shows there's a large audience for streaming music. Despite Apple Music's popularity, some long-time music lovers who've spent years building up a personal music collection remain unconvinced. I'm in that group; I still want to own the music I purchase. I'm not comfortable with paying yet another monthly fee in addition to all of my other monthly subscriptions. Ten dollars for Netflix here, $10 for Hulu there, another $10 or more for other services elsewhere - it adds up, becoming another recurring cost, whether I use whatever service I've subscribed to or not. And more importantly, once you've subscribed, it gets harder and harder to leave. One of my iTunes playlists. While cancelling your Netflix or Hulu subscription will cut off access to movies and TV shows, that content isn't being picked and placed into playlists I use daily. Music is a different beast. Cancel Apple Music and your carefully curated music playlists - potentially years of working in the making - will be shot through with gaps from songs no longer accessible; I'm not comfortable with that. Perhaps I just have a fear of commitment. No doubt, my habits are different than those who like streaming services. When I find something I like, I still purchase CDs and rip them to my computer. But I transcode music using the Apple Lossless Format (ALAC), which promises to retain the full dynamic range of a song without muddying up the sound with compression that's inherent to most encoding formats -- even the ones offered by Apple on the iTunes Store. While many people are satisfied with the size/quality balance offered by streaming and digital-purchasing stores, I have been careful in recent years to make sure my music is kept in a lossless format to future-proof my library. I made this realization after seeing how quickly lower-resolution digital photos taken just a few years ago have held up, especially with the arrival of ultra high-resolution screens. I don't want something like that to happen with my music collection. I always write with Dark Side of the Moon playing in the background. If there were ever a higher-quality streaming option, such as the option for the aforementioned Apple Lossless Format, or something similar that isn't based on a heavily compressed format, I might be open to readdressing this issue, and perhaps even signing up. (I’m not interested in Tidal’s feature set and price points.) After all, the thought of accessing millions of titles is compelling, and not having to rip and store all of those tracks would free up a ton of storage space on my various computers, devices and hard drives. I realize my use cases -- perhaps my stubbornness -- are primary factors in holding off on signing up for any streaming services. If you're a big music fan, and you spend more than $10 a month on music anyway, then streaming services are a no-brainer. Even my audio quality complaint becomes less relevant when considering the millions of titles I'd have have access to. Streaming services allow you to discover new tunes, plus the integrated social features make sharing a snap. There are certain things I can't live without: power, cell/data and Internet access top the list; and yes, the benefits of those digital basics go away once you stop paying for them. But music to me isn't just another service. It's something I keep. Can Mobile Digital Music Help African Musicians?